Come on, let's go to school! How exciting the everyday life of a school kid can be. Only the one who gets up promptly and is on time at the bus stop will get to school on time. There the hurly-burly continues. With all the other children and the interesting things to learn, the day passes in a flash. While playing, the children experience how their day will change when starting school. 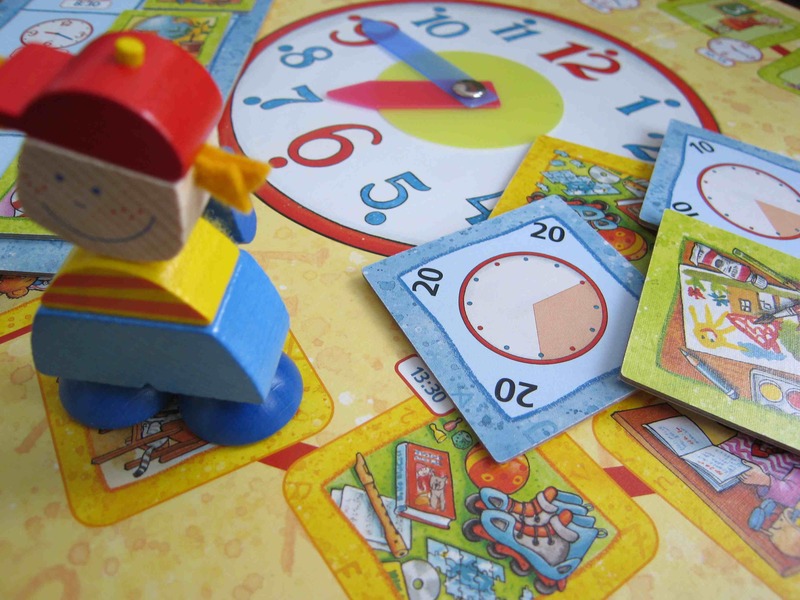 Further on, memory and handling of the clock are introduced in a playful way. Competitive and cooperative play variants included.